Mercedes driver - Lewis Hamilton won pole position at the Singapore Grand Prix after recording the fastest lap time during qualifying. 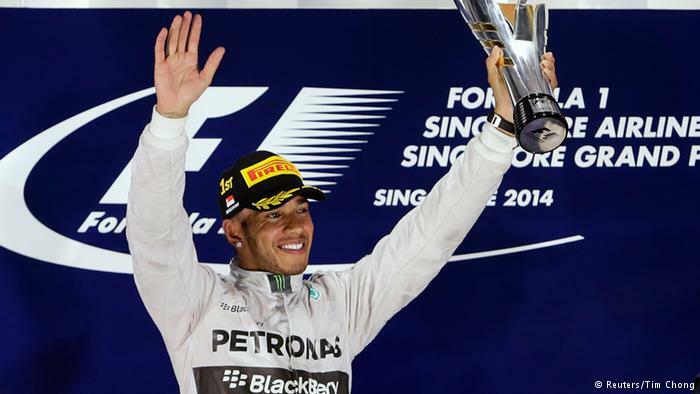 Hamilton was 0.319 seconds ahead of Red Bull's Max Verstappen who could only occupy second place. Hamilton touched the end of the lap with a lap time of 1 minute 36.015 seconds, and according to F1 observers the record of the time Hamilton had done was a fantastic achievement. While in third place occupied by Ferrari driver Sebastian Vettel. After succeeding through two sectors with a time record closest to Hamilton is none other than Max Verstappen. But in the last sector he suffered a slowness, but Hamilton successfully passed so that the opportunity to win pole for Verstappen had to disappear. Nevertheless, Verstappen admitted he was very satisfied with the results of the race he got despite having to be second. He even mentioned that Hamilton was an extraordinary rival, it was hard to beat even though he tried his best.